Gussie Botha, who dedicated her life to helping the poorest people of Cradock. By noon every weekday, the kitchen of Vukusebenze Shelter in Cradock’s Cawood Street is as busy as a big restaurant. 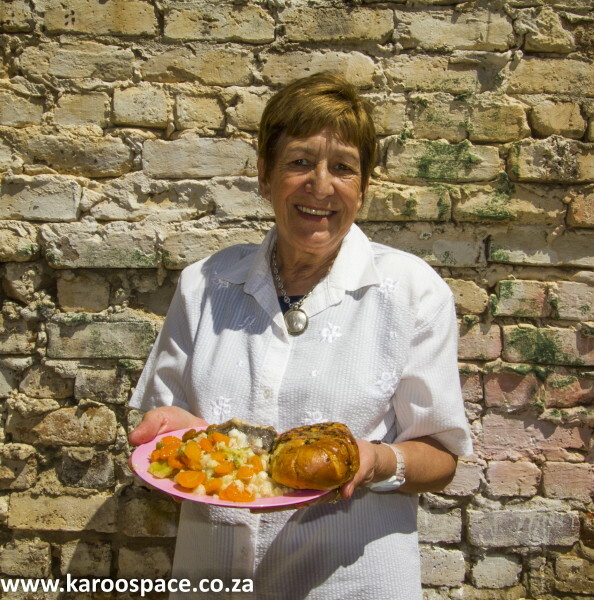 Every weekday, Gussie Botha and her team of workers prepare food for between 30 and 90 people who would otherwise go hungry. Today it’s samp and beans, day-old garlic bread, a generous portion of meat, and milk donated by a local farmer. Some of those who take a plate are regulars, and they smile their greeting. Others keep their heads down. There is a small fee for lunch: a few recyclables – plastic bottles, or glass, or tins. Even one little bottle will do. 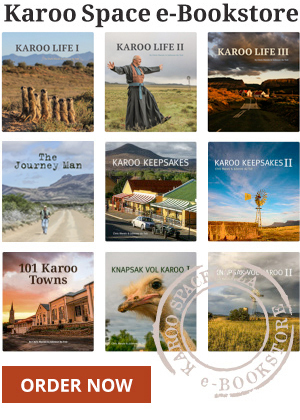 Others bring little squares of paper – vouchers that Cradock people can give to beggars instead of money. Gussie’s husband Baba Botha found great satisfaction teaching carpentry and practical skills to wayward youngsters. Apart from what is cooked for the poor, there are other pockets of activity in the busy kitchen. On Fridays, vetkoek and mince is sold to raise money, and they are in such high demand that they have to be ordered. It’s the same story with Shelter’s legendary freshly baked Friday breadloaves. The Vukusebenze staff take off over weekends, but that’s when the churches take turns to feed people. 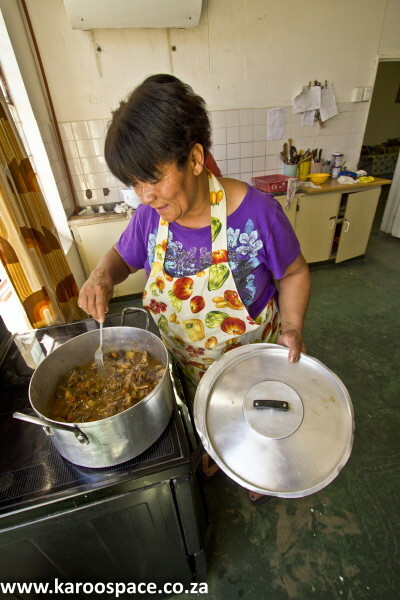 The kitchen is the heart of everything, so it only seems appropriate that this kitchen is witness to the generosity of Cradock’s people. There are at least 5 large stoves, all of which were donated. 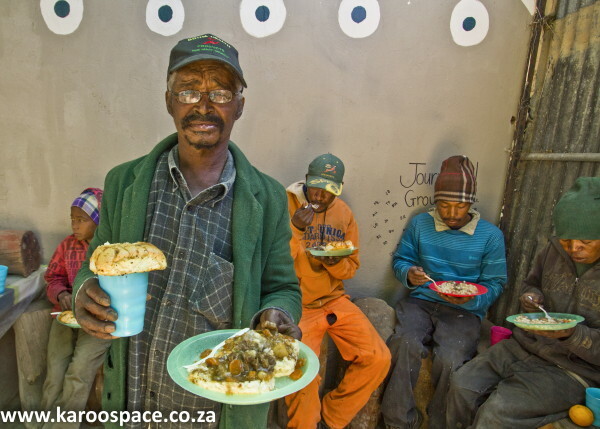 Andries, a regular at Vukusebenze Shelter with his plate of food. There is day-old bread that is donated by the local retailers. A local dairy farmer drops off a lot of milk for them every week – and that fresh milk goes to the poor people coming for lunch. A home goods retailer donates shopsoiled or slightly damaged goods. 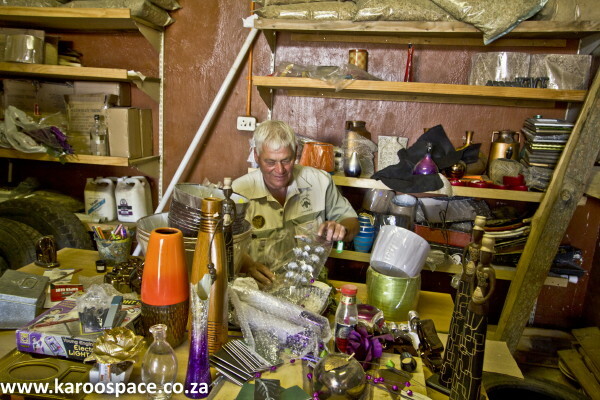 Here they get fixed and sold cheaply in the little shop where you can find a shirt for R20 or less, and a lamp for R15. You can find the most astonishing items here, for bargain prices. Gussie became involved with the Shelter when she had just retired as a teacher. By 2012 she had turned Cradock’s Vukusebenze Shelter into something that could be a model for small town upliftment and sanctuary projects all over the country. Gussie, who could speak fluent ixiXhosa, infected others with the joy of generosity. Almost anything could be donated to the Shelter and Gussie would find a use for it. Handily, there is a recycler across the road from the Shelter, so even waste is valuable. Vukusebenze Shelter in Cradock feeds dozens every day. She roped in her husband Baba Botha. At first, he resisted and told Gussie he didn’t like her doing this kind of charity thing. But soon he was there full time, finding immense satisfaction in training youths to repair appliances, do carpentry and grow vegetables. Most of them are youngsters sentenced to community service by local Magistrates. In the needlework section, two or three regulars make curtains, sheets, aprons and pillowcases and teach occasional classes. In another section of the building, there are computer literacy classes and another small moneyspinner that is a godsend to the town’s bachelors – the laundry. Here industrial washing machines and irons (also donated by the townspeople) are in action, with washing being charged by weight. One of the latest Shelter enterprises is budget accommodation. Through the generosity and hard work of Dutch volunteers, several rooms were created within the shelter, each with two or three beds, tables and lamps and cupboards. The communal showers and toilets are, like the rooms, spotless. These rooms are very cheap and are for anyone from backpackers to those who need budget accommodation. Gussie always brushed aside any compliments for what she had done. She said it was all thanks to the churches and charities working together, and the locals. Gussie and Baba Botha died within weeks of one another in November 2016. At Gussie’s memorial service on 3 December 2016, she was described as ‘Mother Gussie of Cradock, someone who put Love into action’. Call the Shelter on 048 881 3657 or visit them at 5 Cawood Street, Cradock. What a lovely couple. May their souls rest in peace. An amazing legacy left behind. Long may it run smoothly.